The mini-heroes return! 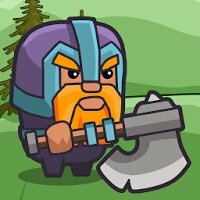 Build an army by stacking different classes of heroes on top of each other! Equip special artifacts, activate powerful spells and find the best combinations and formations to repel the enemy invaders and free the land! Sometimes, you will need a big stack of Shorties to stand tall!